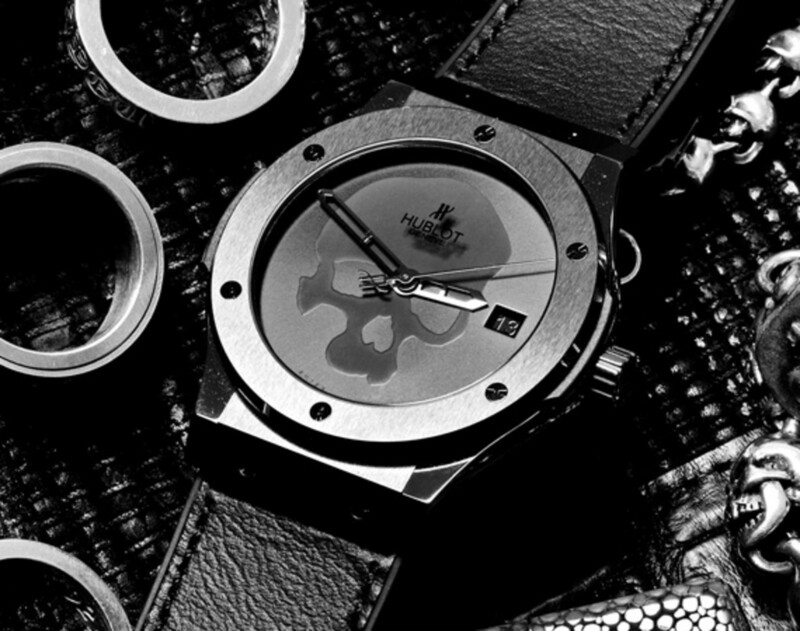 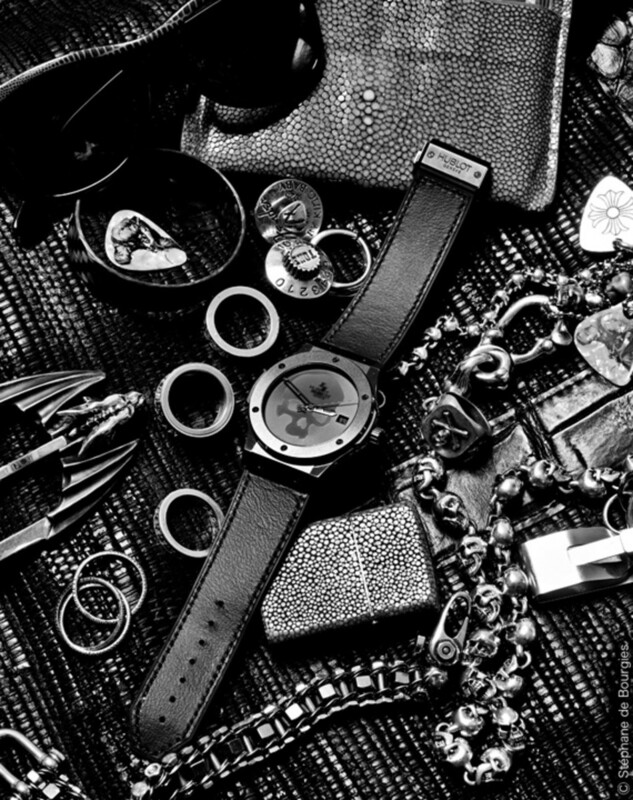 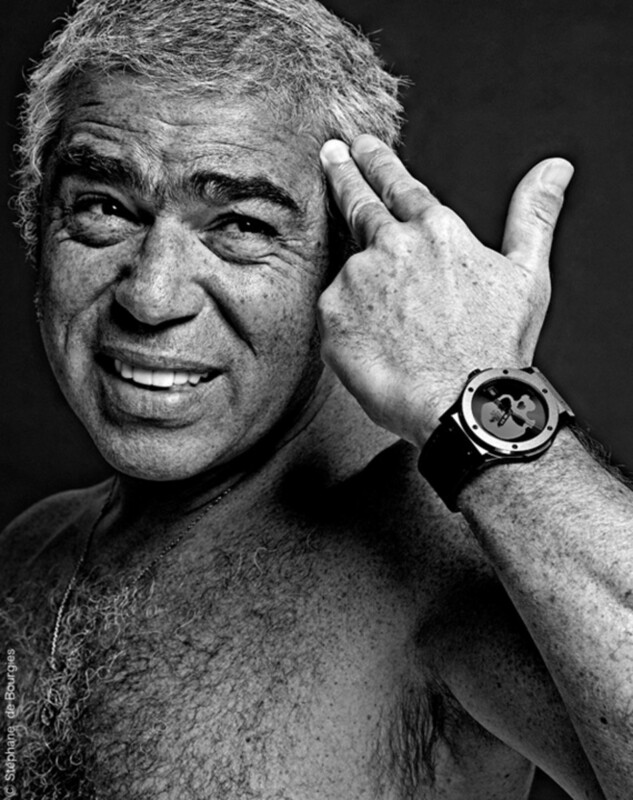 To those who wants to show that outlaw aspect of yours, at least occasionally, the HUBLOT Skull Bang is the timepiece for you. 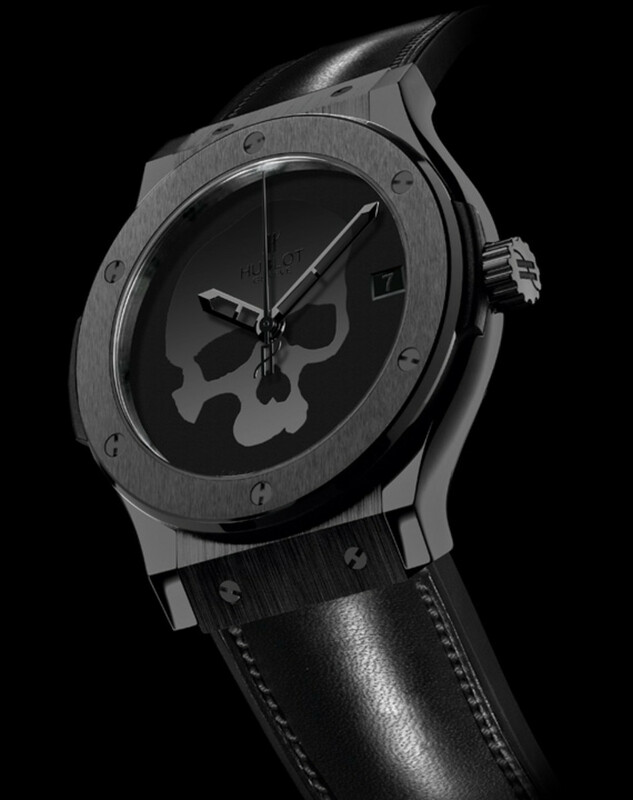 Designed in conjunction with Laurent Picciotto, a long time associate of HUBLOT and founder of the famous Parisian watch boutique Chronopassion, the HUBLOT Skull Bang watch is made entirely of black ceramic in satin-finish. 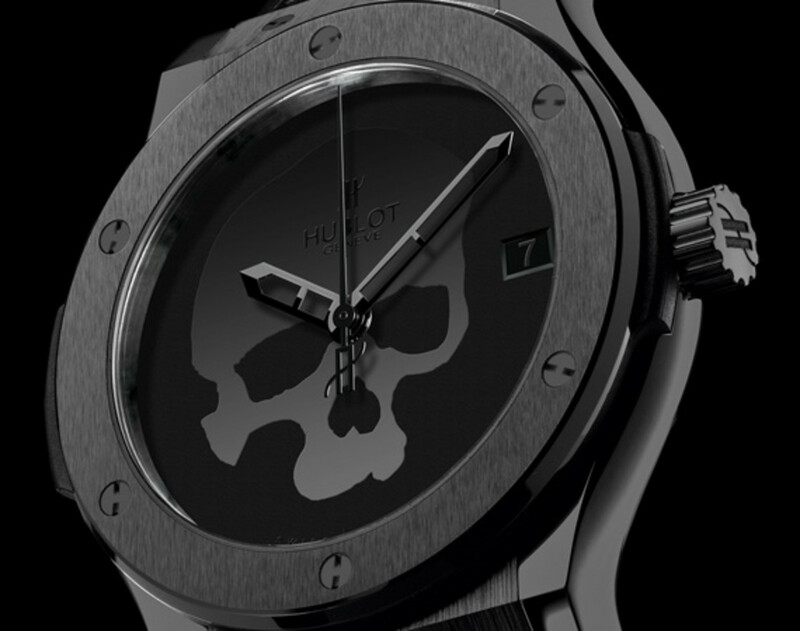 An anti-reflective sapphire crystal covers a 45 mm dial face with a case back featuring a black "Skull Bang" transfer, an imprint of a transparent skull silhouette onto a black background. 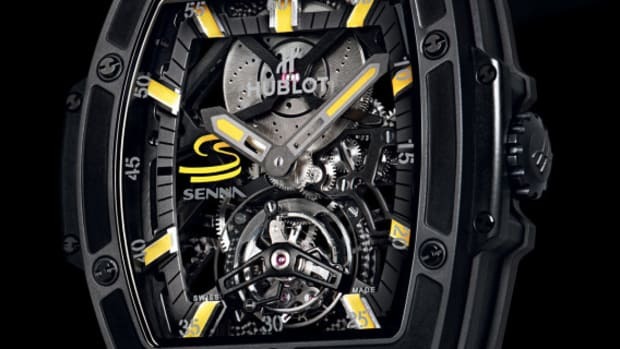 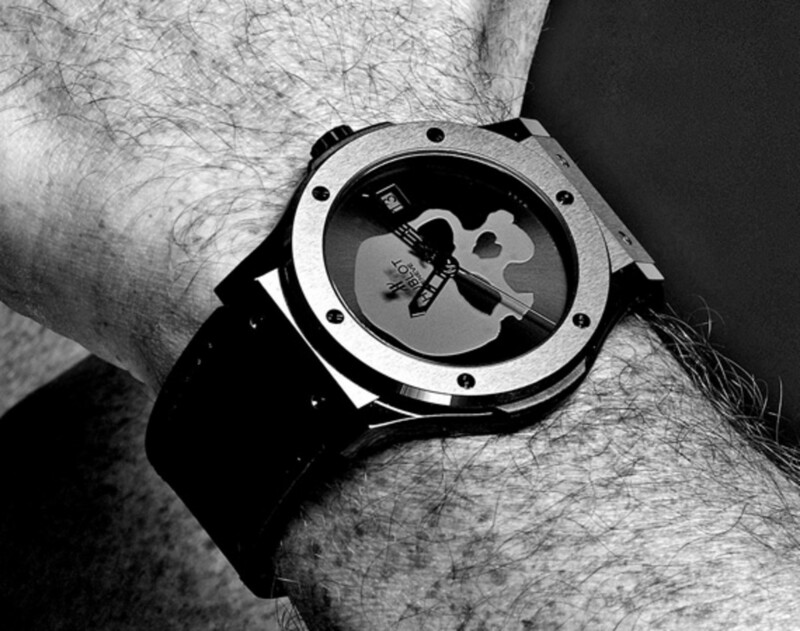 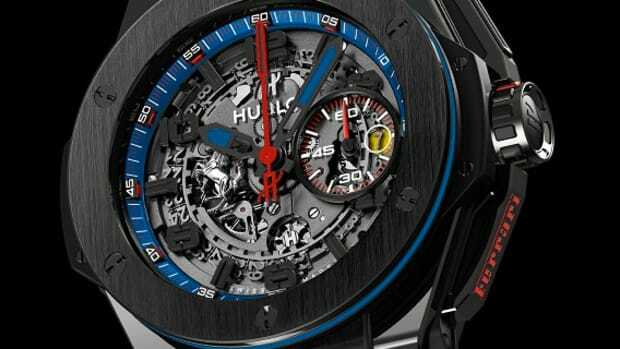 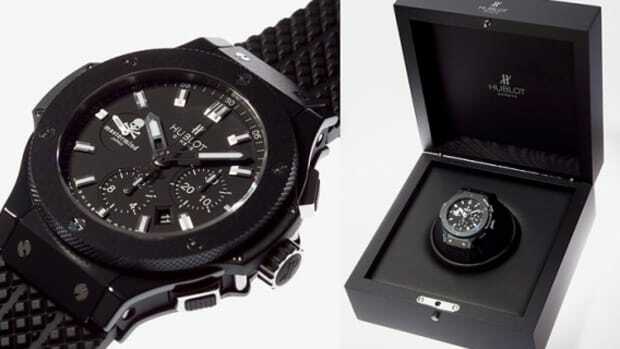 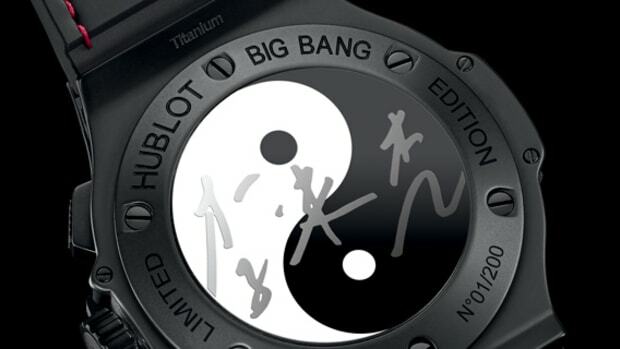 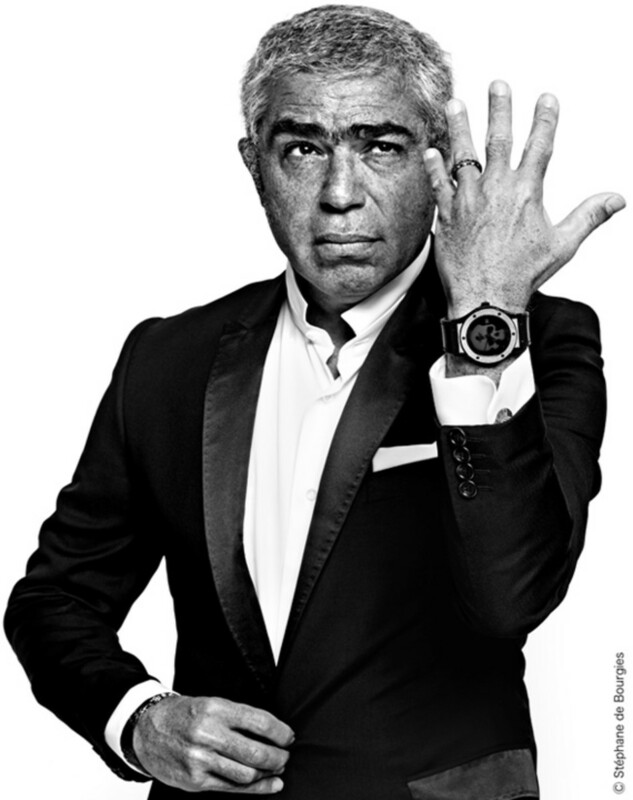 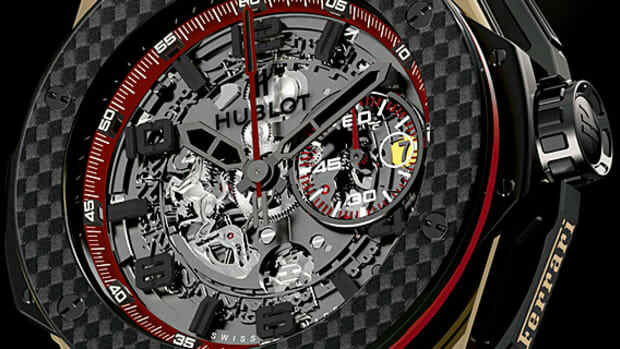 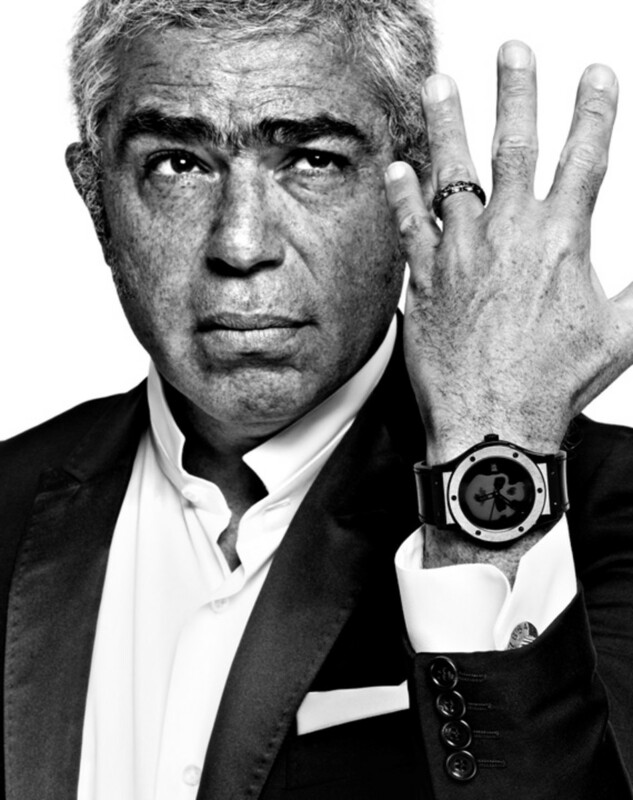 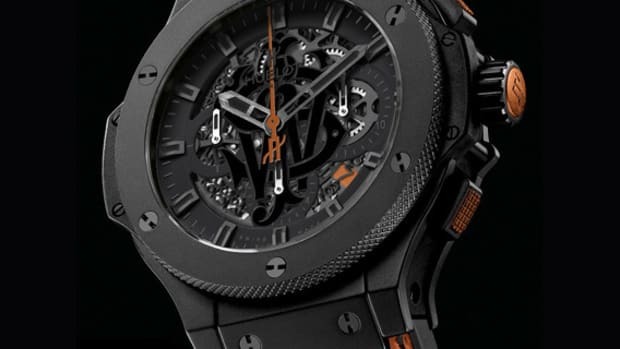 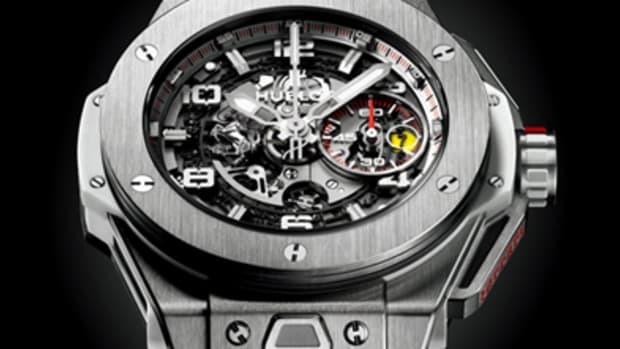 The black color theme continues onto the hands, the bezel, the "H-Shaped" screws, even on HUBLOT&apos;s logo. 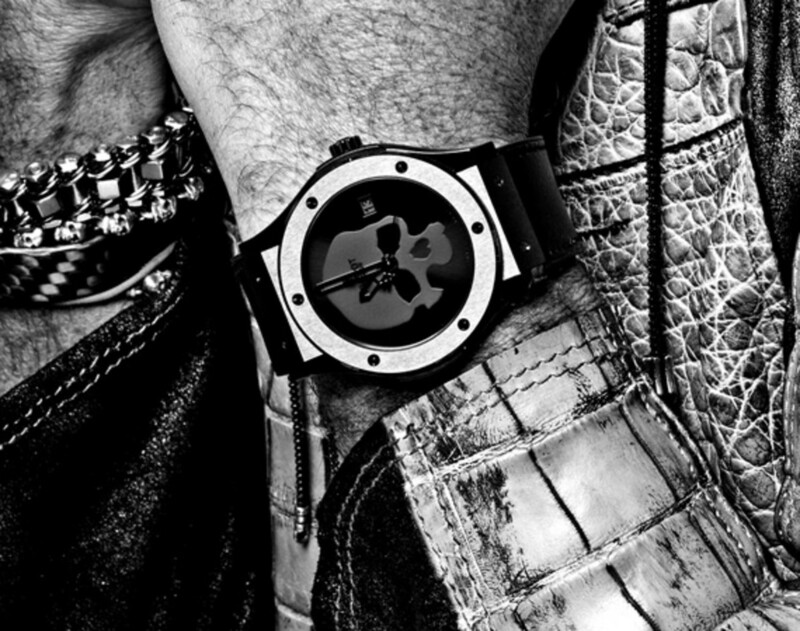 Driven by HUB 1112 automatic movement and water resistant up to 5 ATM, a leather/rubber strap, also in black, completes the design. 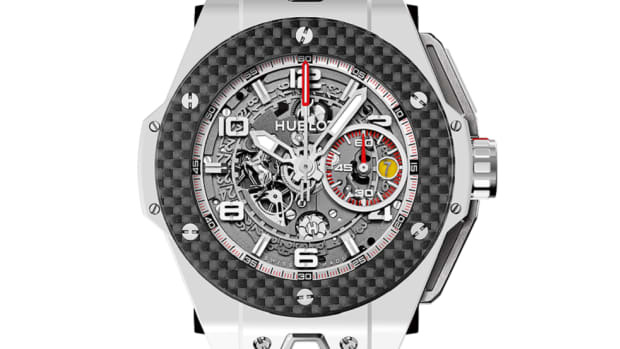 Limited to only 100 units worldwide, all will be available exclusively at Chronopassion/HUBLOT Paris flagship on 271 rue Saint-Honore.